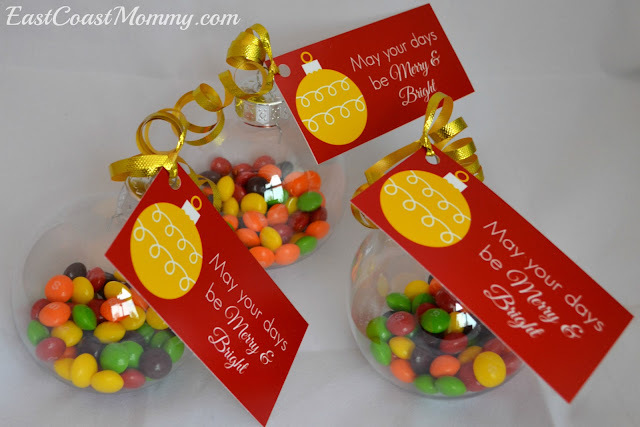 I adore cute DIY Christmas ornaments, and these adorable DIY Skittles ornaments are easy and inexpensive to make. I made one for each of my boys, and they love them! 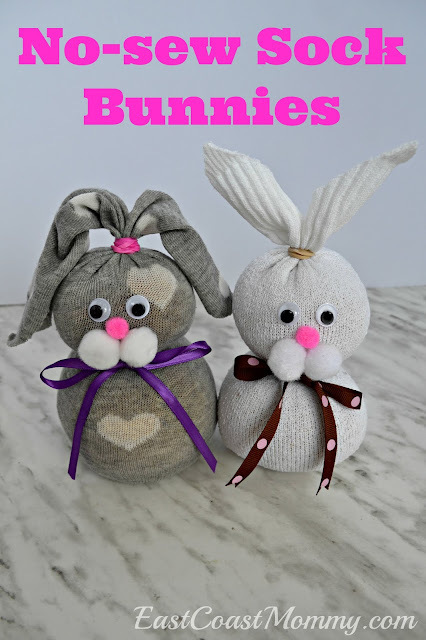 They make a cute Christmas ornament, stocking stuffer, Christmas movie night treat, or DIY gift. 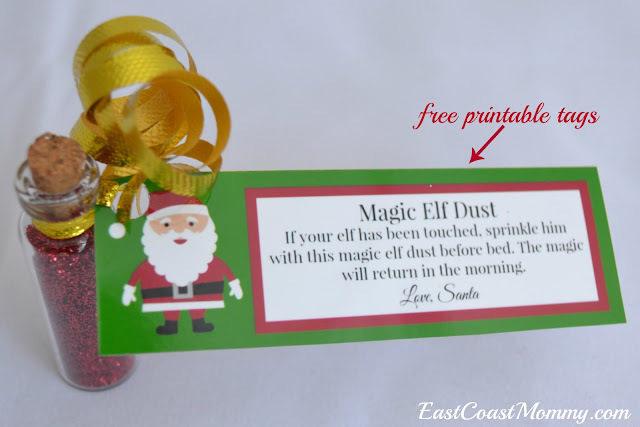 Below, I am sharing the "how to" details and the FREE printable tags. 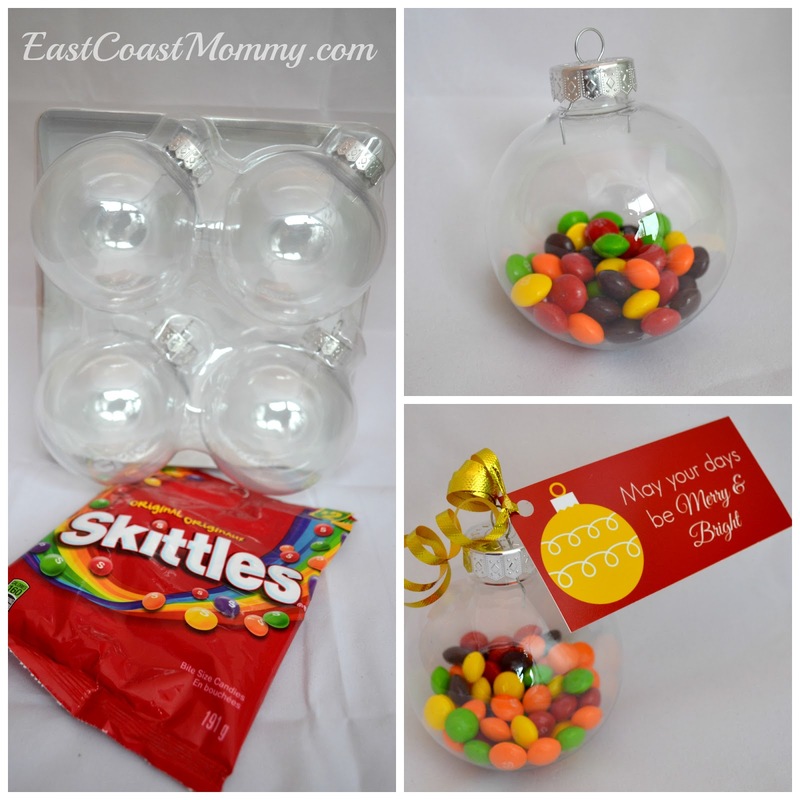 1) Purchase inexpensive plastic ornaments (and make sure the top opening is big enough to allow you to pour Skittles into it). 2) Pour Skittles into the ornament. 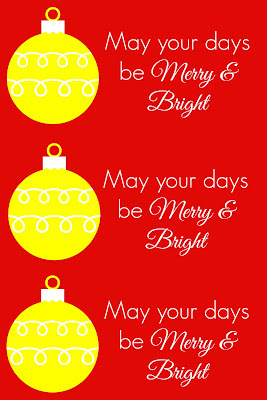 3) Use ribbon to attach the "Merry and Bright" tag to the ornament. Do you have candy-loving kids or friends that would enjoy receiving these "Merry and Bright" Skittles ornaments? 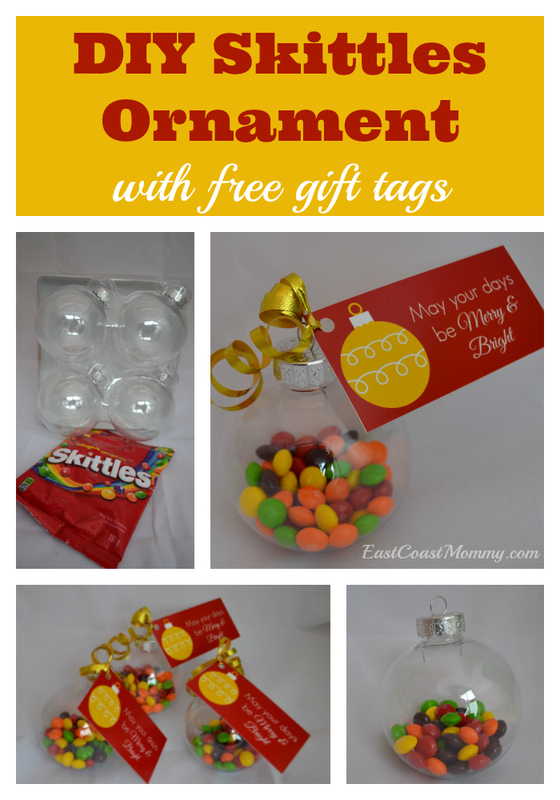 I think sharing these sweet, easy and inexpensive ornaments is a fantastic way to share some Christmas cheer this holiday season. Is your Elf on the Shelf looking for something to do? Try showing him this picture, and maybe he'll build himself an Igloo from an old milk jug and some cotton balls. Fun, right? I'm also sharing some simple instructions for an Elf on the Shelf scarf that you can make from a scrap piece of felt... in less than 20 seconds. 1) Wash an empty milk jug out with soap and water, and dry it completely. 2) Use an X-acto knife to cut an opening in the jug. 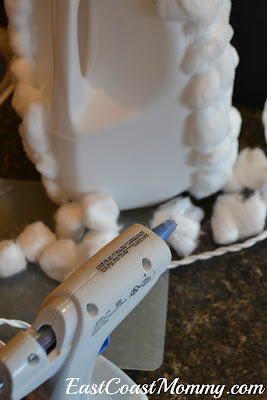 3) Use hot glue to attach cotton balls to the jug. Apply the glue to the jug rather than the cotton balls. Trust me... it will work much better. 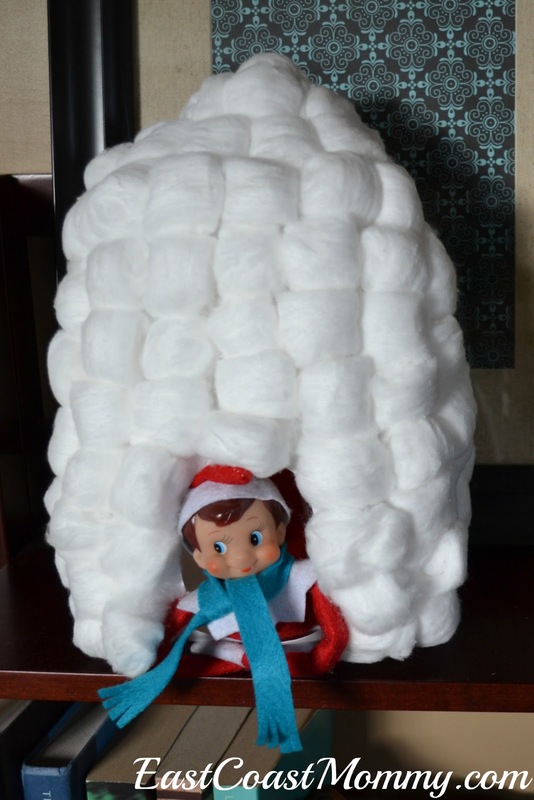 I think this Elf on the Shelf Igloo is adorable. My youngest even asked if we could keep it after Elfie leaves. 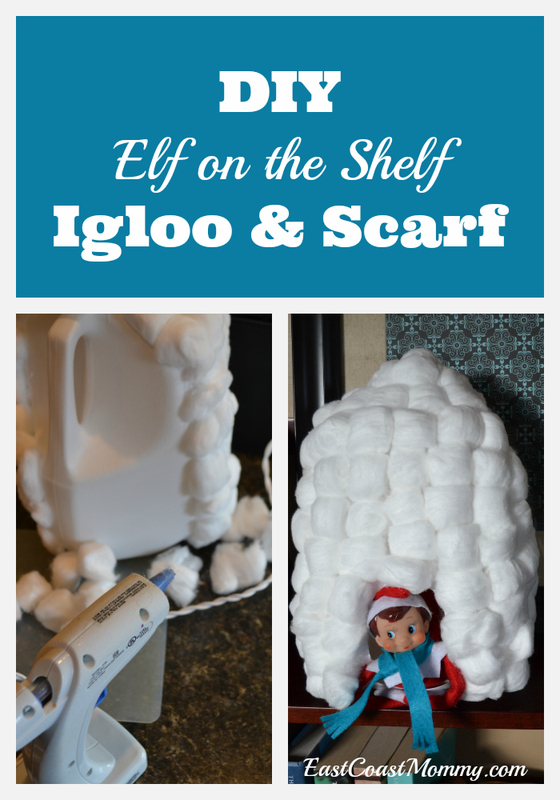 And, if your Elf is going to be spending time in an igloo, you'll need to make him an Elf scarf to keep warm. All you need to do is cut a strip of felt, and cut fringes in each end. It literally takes less than 20 seconds! 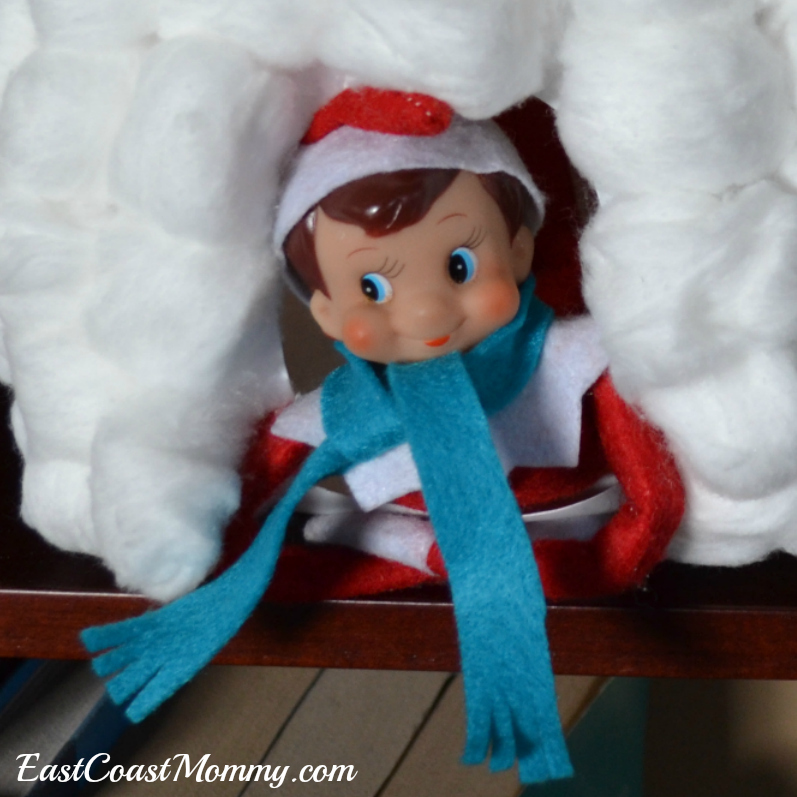 Do you think your kids would like to find their Elf on the Shelf in his/her own personal igloo? It's a pretty easy recycling project, and a fun place for an Elf to hide. 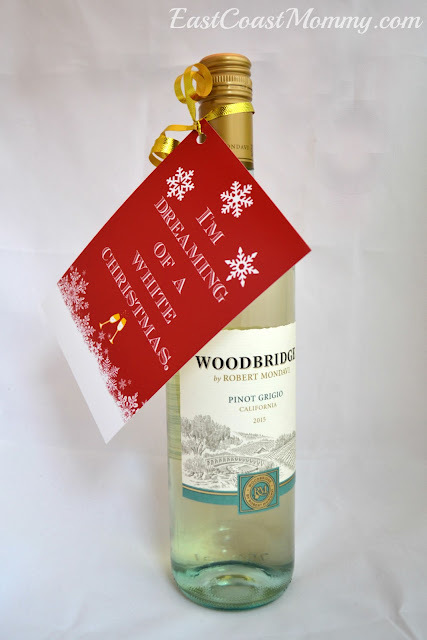 Christmas always comes with party invites from friends and colleagues, and no one wants to be a guest that arrives empty handed. So, today I sharing a simple gift that is guaranteed to be well received. 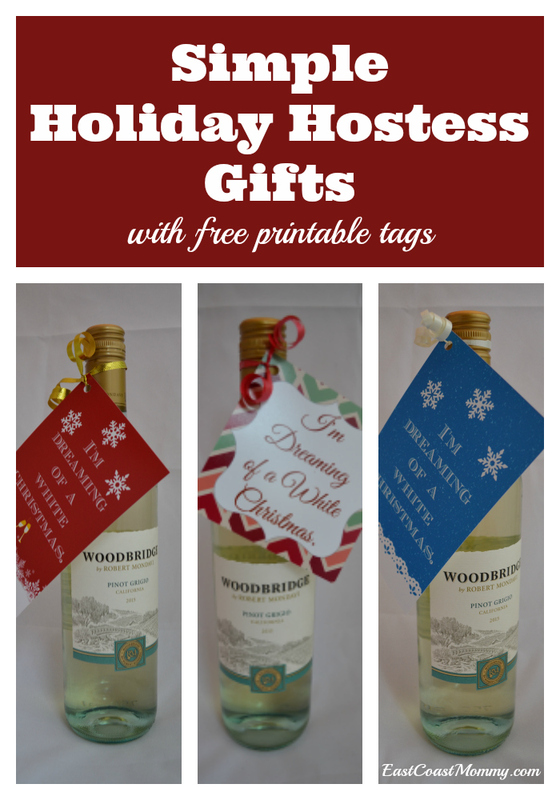 I'm also including three options for FREE printable tags that you can print and attach to your holiday hostess gift. 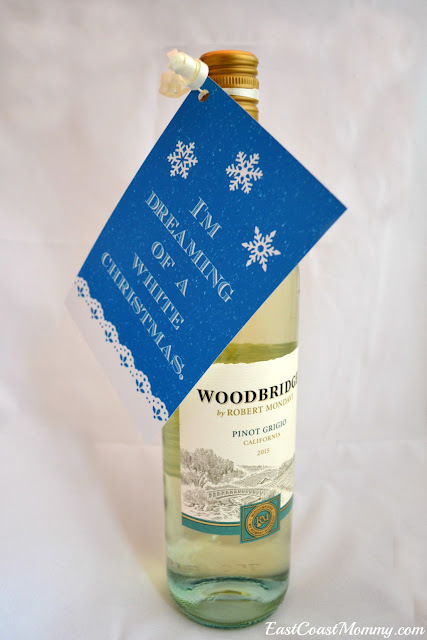 I love the idea of attaching a fun tag to your favorite bottle of white wine that says, "I'm dreaming of a white Christmas." Cute, right? This red and white tag is simple and traditional. 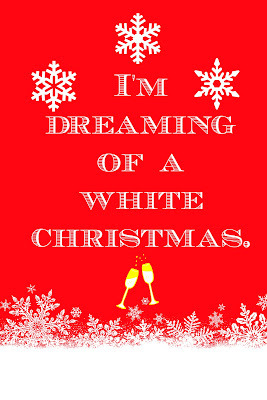 To download the red and white tag: right-click on the picture below, save it to your computer, and print it like a regular 4X6 photo. This blue and white tag is a little different, but equally charming. To download the blue and white tag: right-click on the picture below, save it to your computer, and print it like a regular 4X6 photo. This chevron tag is a little more modern and less traditional than the other two tags. You can leave it full size, or you can cut it into a square like I did. To download the chevron tag: right-click on the picture below, save it to your computer, and print it like a regular 4X6 photo. 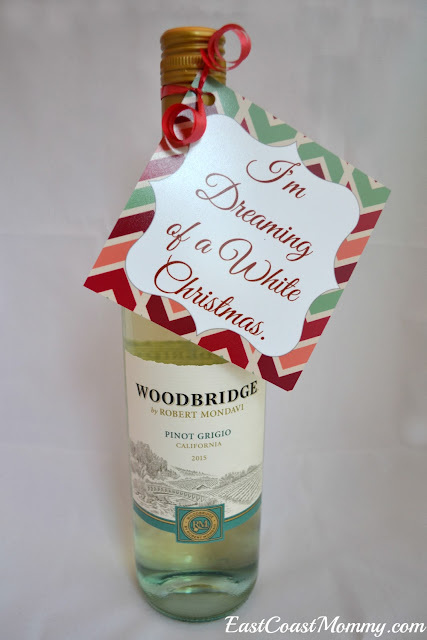 Don't you love these adorable holiday hostess gift options? I hope you download the free tags I designed and attach them to your favorite bottle of white wine. Enjoy! Teaching my boys about money and finances has always been important to me. I feel it my duty as a mother to educate my boys about spending responsibly and saving for what they want. 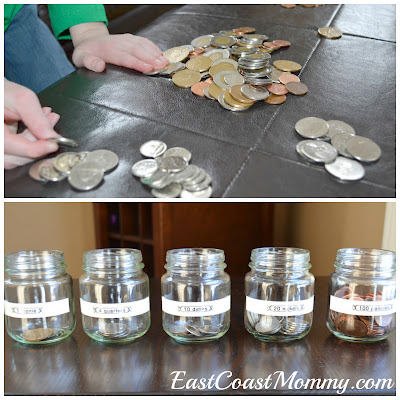 Today, I am sharing some of the ways that I am teaching my children about money. 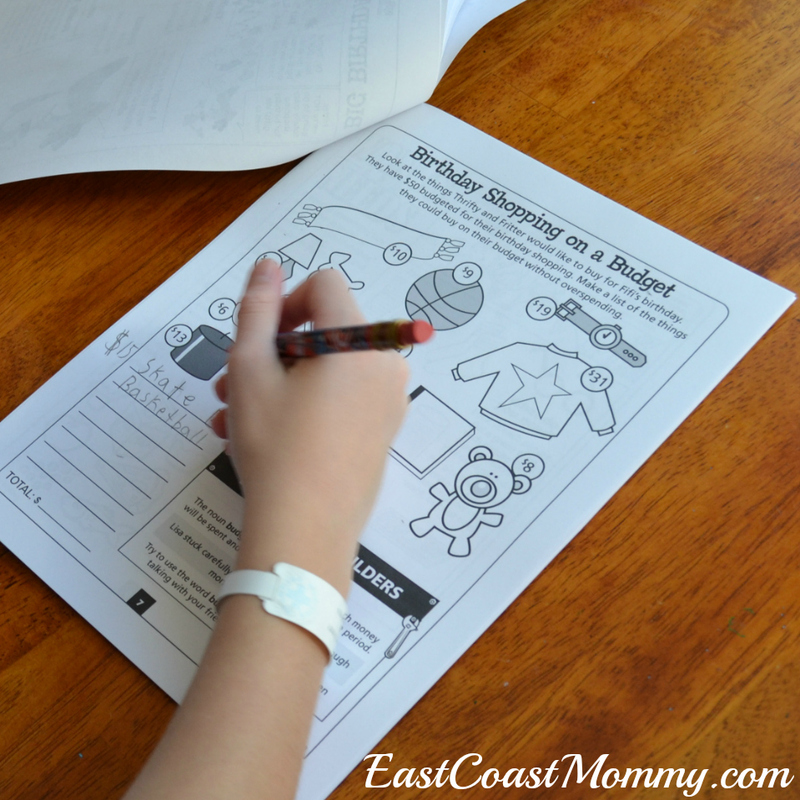 I am also sharing a FREE digital activity book for kids that you are going love. It's never too late (or too early) to talk about finances. 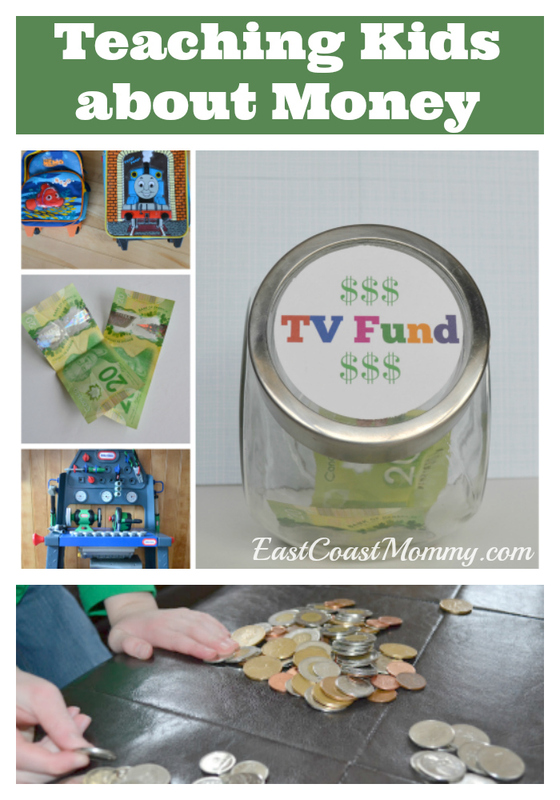 When my boys were very young, I focused on teaching them the physical value of money. In a world of debit and credit cards, I wanted them to understand that money is a tangible thing. We talked about money and sorted it into jars. I wanted them to see what a dollar looked like -- 100 pennies, 20 nickels, 10 dimes, 4 quarters, and a loonie. I also took them to stores to show them what a dollar could buy. 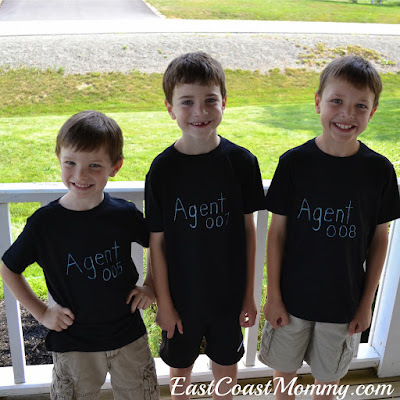 I have also always taken my boys with me to the bank whenever I have had a deposit to make. I wanted my kids to understand that I work for money, I put the money in the bank, and then I take that same money out of the bank with my debit or credit card. I stressed that money is a tangible item that we earn and spend. Debit and credit cards are not magical items that allow us to buy whatever we want. 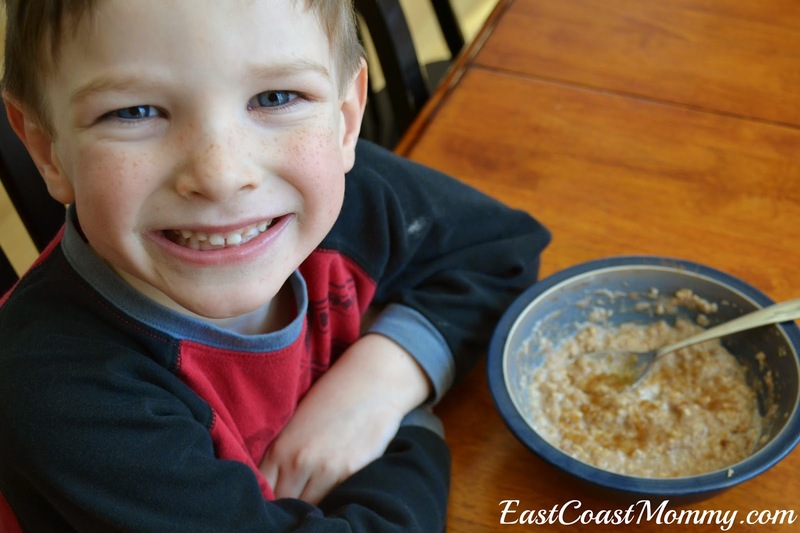 As my boys got older, I focused on teaching them about wants vs. needs, and the importance of living frugally and saving for what they want. We have an open dialogue about what things cost and how our family spends money. My boys know that we sell items we no longer need and purchase second hand items often, we buy things on sale, and we save for what we want. They also know that eating out is a special treat and that we pack lunches and snacks when we can. Recently, my boys wanted to purchase a TV for our basement, and I told them that they would need to save for it. We sold some of their old toys, and collected the money in a jar until they had enough. 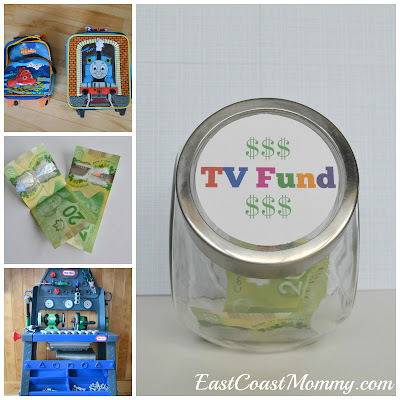 Visually seeing the money collecting in the jar was a fantastic way to teach them about saving for something they wanted. A wonderful way to open a dialogue about money with your kids is to use books in addition to real life situations. TD Canada has a fun and educational activity book that my 9 year old loved. 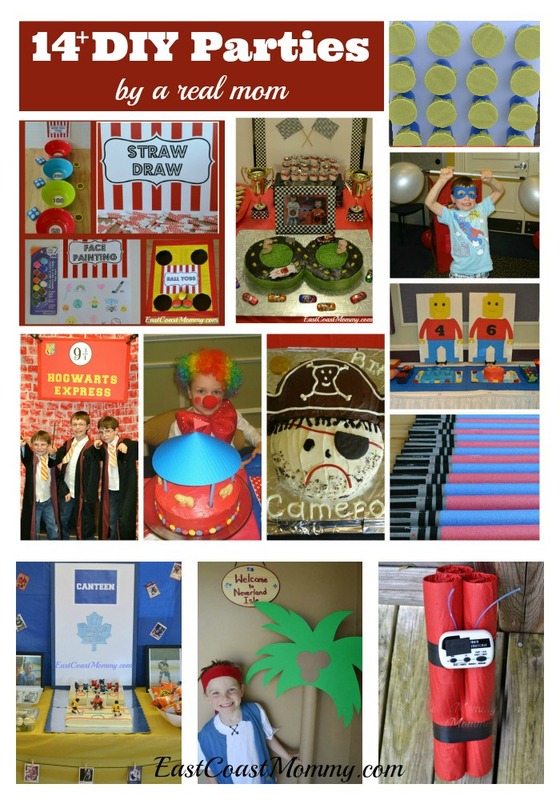 It is full of wonderful information and games that your kids will enjoy. You can get the digital activity book for free here. You can also learn more about getting financially fit from TD here. As my kids grow into adulthood, my husband and I will continue to educate our children by giving them an allowance, showing them how to open a bank account, and teaching them the importance of budgeting and living within their means. 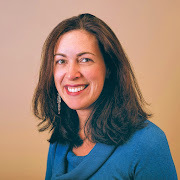 Your child's first financial teacher is you. When you teach them is just as important as what you teach them. Start young by fitting lessons into your everyday life. Your kids will learn valuable lessons without even knowing it. 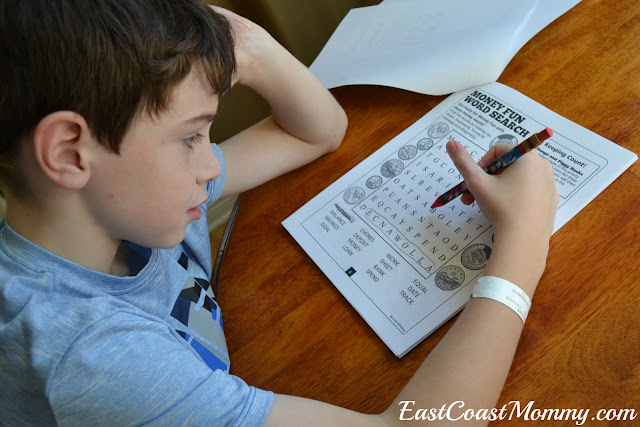 How do you teach your kids financial literacy? I'd love to hear your tips and tricks. Please take a second to leave them in the comments below. In keeping with family tradition, today I am sharing a birthday letter to my oldest son on his 11th birthday. Each year (on my boys' birthdays), I write them letters in an attempt to capture a little bit of their personalities on paper. 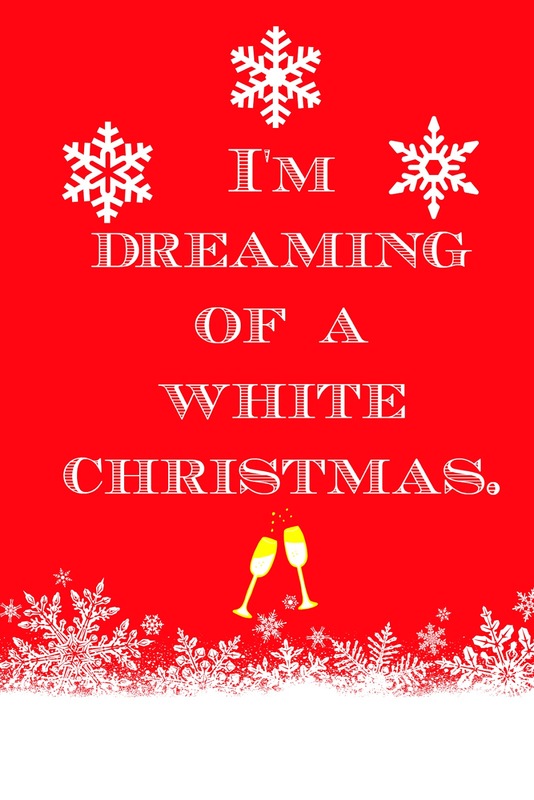 It's a tradition that is very special to me, and I am happy to have the opportunity to share it with you... my lovely readers. 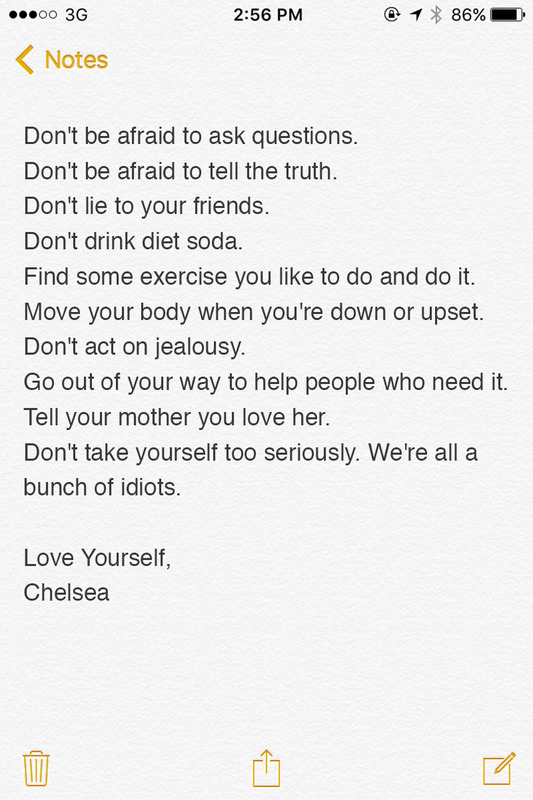 Here is this year's letter to my first born son. As you are inching toward the teenage years, I am both sad that my little boy is slipping away, and happy to watch the wonderful young man that is emerging before my eyes. 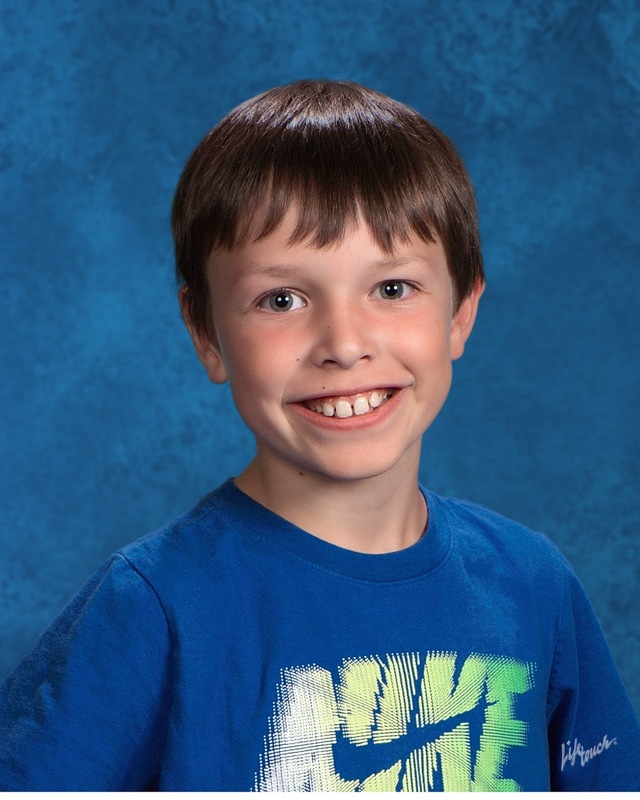 You are a kind, hard working, and loving boy, and I am proud to be your mother. You have always had a mature soul, but I have noticed that this past year you have really started to get more independent and you have started taking on more responsibilities. I am impressed with the ease with which you are moving into this new stage of your life. You are getting older, but I can still sneak a cuddle during movie night (when none of your friends are there to see). Hockey is your passion. Even though you are young and small, you always work hard, and you play with lots of heart. Dad and I really admire your determination and work ethic. You love playing mini sticks with your brothers, your favorite show is Sports Centre, and collecting and trading Tim Hortons hockey cards has become an obsession. Peanut butter sandwiches are still your favorite snack... and now you can make them yourself. 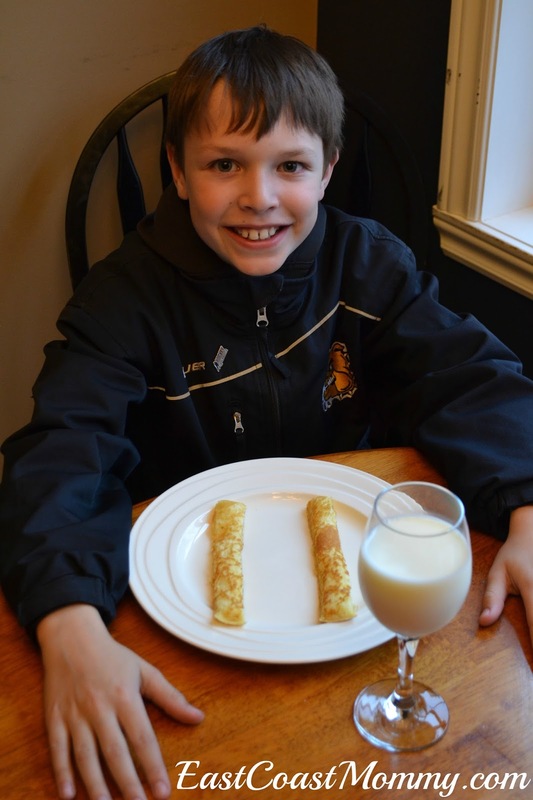 Your favorite colour is blue, your hockey number is 18, and you dream of playing in the NHL. Happy birthday, my angelic oldest boy. You may be getting older, but you will always be my baby boy. I love you to the moon and back! If you have an Elf on the Shelf, you know that if an elf is touched by a human, it will lose its magic. It can be a stressful moment for parents of young children, but don't worry, I have a solution. 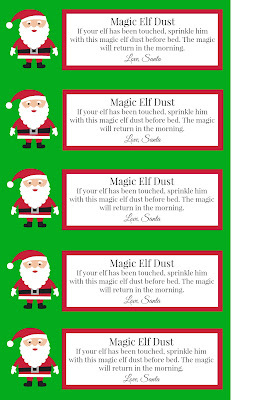 Today, I am sharing info on the cure -- magic elf dust. 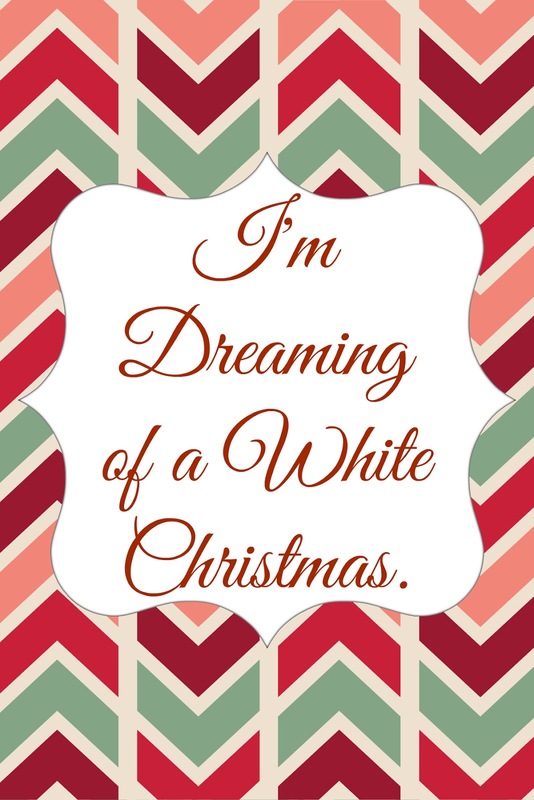 I'm also sharing a super cute free printable. If you need magic elf dust, you are going to need to get a tiny (elf size) jar of glitter from the dollar store. 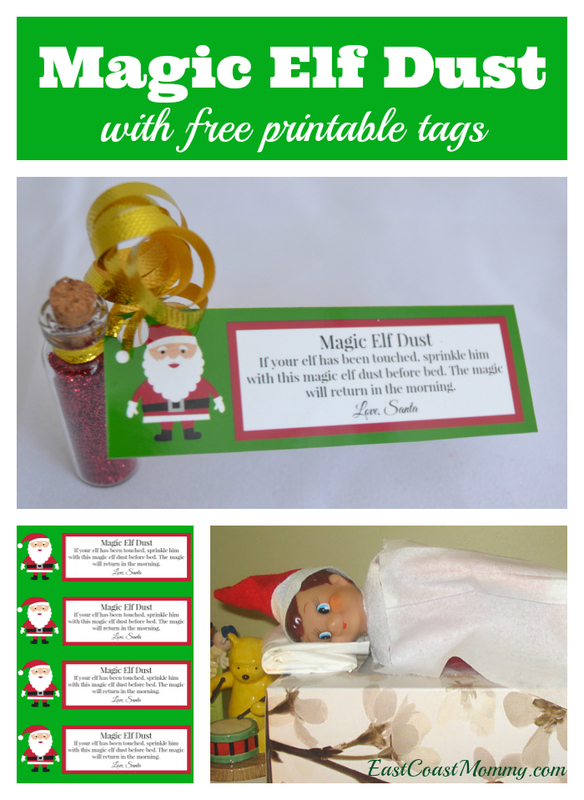 Then, you can print the tags (below), and attach one to the jar of glitter. To print the tags: right-click on the picture below, save it to your computer, and print it like a regular 4X6 photo. Then, if your elf is touched, sprinkle him/her with the magic dust before bed, and the magic will return in the morning. Crisis averted! I think these little jars of magic elf dust are adorable. They would be cute as Christmas tree ornaments too, don't you think? If you use this magic dust on your Elf on the Shelf, let me know how it works. I have a feeling it will do the trick! Disclosure: This post contains an affiliate link. If you use the "Elf on the Shelf" Amazon link in this post to purchase an Elf on the Shelf, I will receive a small commission. Affiliate links help me to continue to provide my readers with tons of free content. Thanks for the support! 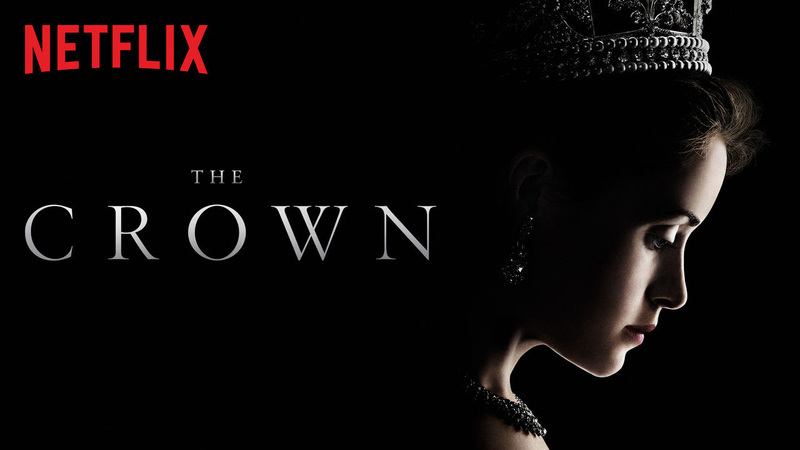 Netflix is celebrating and supporting women with a wide range of shows that feature strong, quirky, flawed, and wonderful women. 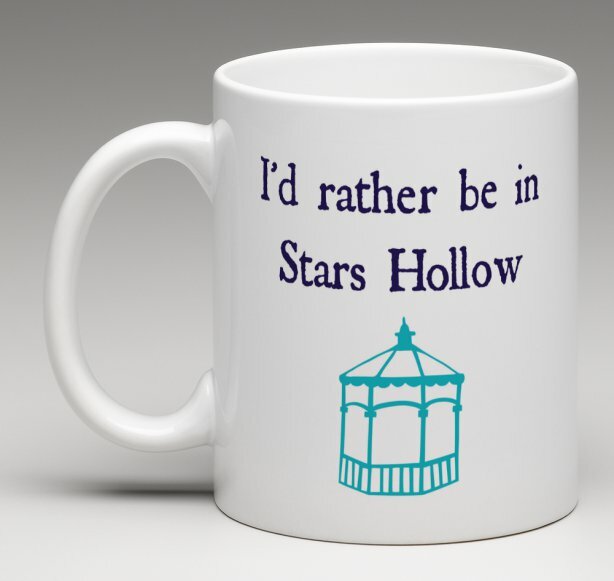 In celebration of the return of one of my favorite shows (with awesome female characters), I designed myself a really fun Gilmore Girls mug, and I am sharing the DIY details so that you can get one too! Cute, right? You can easily make photo gifts at many online copy and photo developing stores. 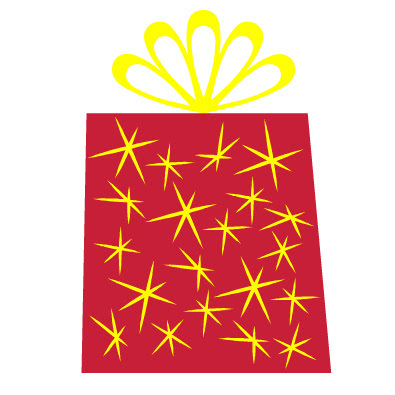 Do an online search, and look for places that sell photo gifts. Start designing a mug, and when it is time to upload a photo, you can use the design below. 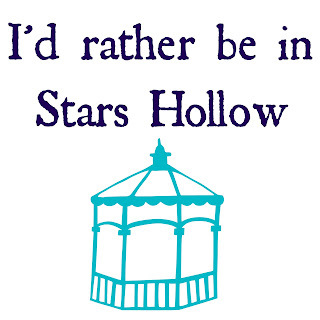 Right-click on the photo below, save it to your computer, and upload it to the website when you are prompted for a design. 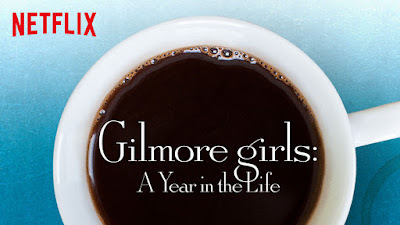 I hope you make a Gilmore Girls mug (like mine) and join me for a cup of coffee and the new series GILMORE GIRLS: A YEAR IN THE LIFE (coming to Netflix on November 25, 2016). In keeping with the "girl power" theme, Netflix is encouraging their viewers to check out a series of letters aimed at encouraging women to embrace their quirks and flaws and to find strength from within to be the most complete versions of themselves. 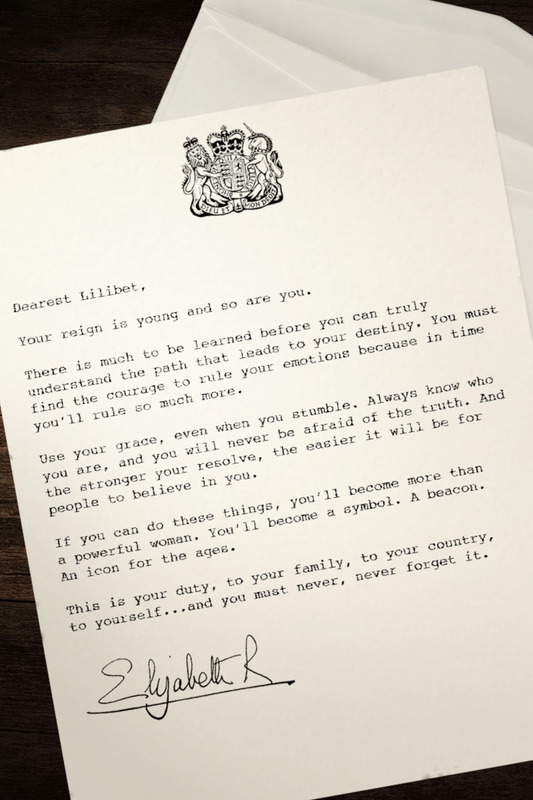 Have a look at this letter inspired by Netflix's "The Crown". 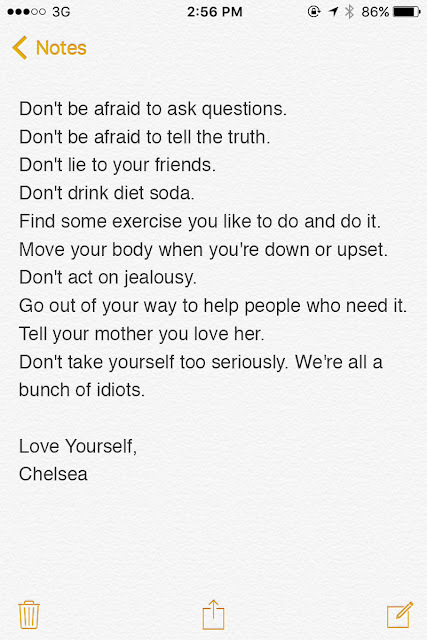 And, here is a fun one by Chelsea Handler. What letter of inspiration, wisdom, and empowerment would you write to your younger self? 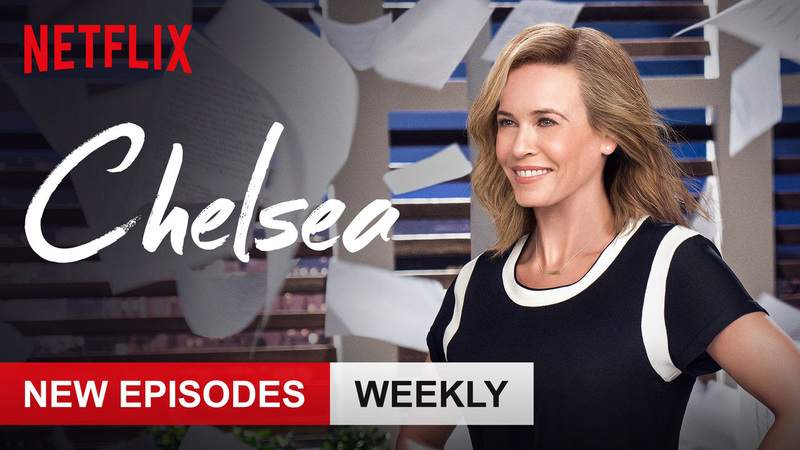 And what fantastic show will you be enjoying on Netflix this month? Advent calendars can be pretty expensive, but my boys and I love counting down to the big day. 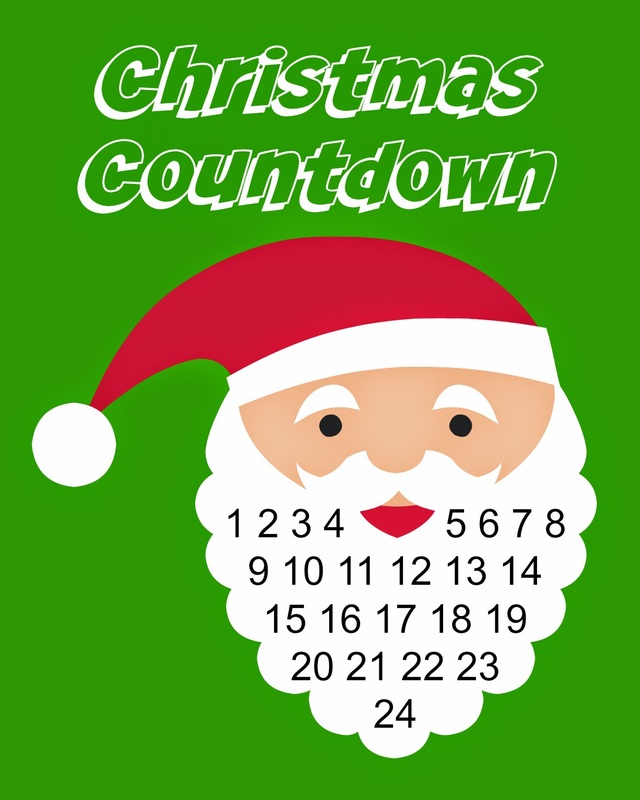 Today I am sharing a cute Christmas countdown that you can download for FREE! This adorable print can be placed in an inexpensive dollar store frame, and each day the kids can cross out one of the dates. It would also be sweet to use white stickers or white pom poms to cover the numbers. 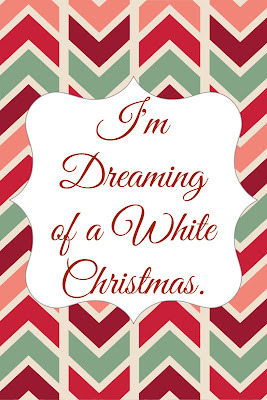 How do you plan to countdown to Christmas? 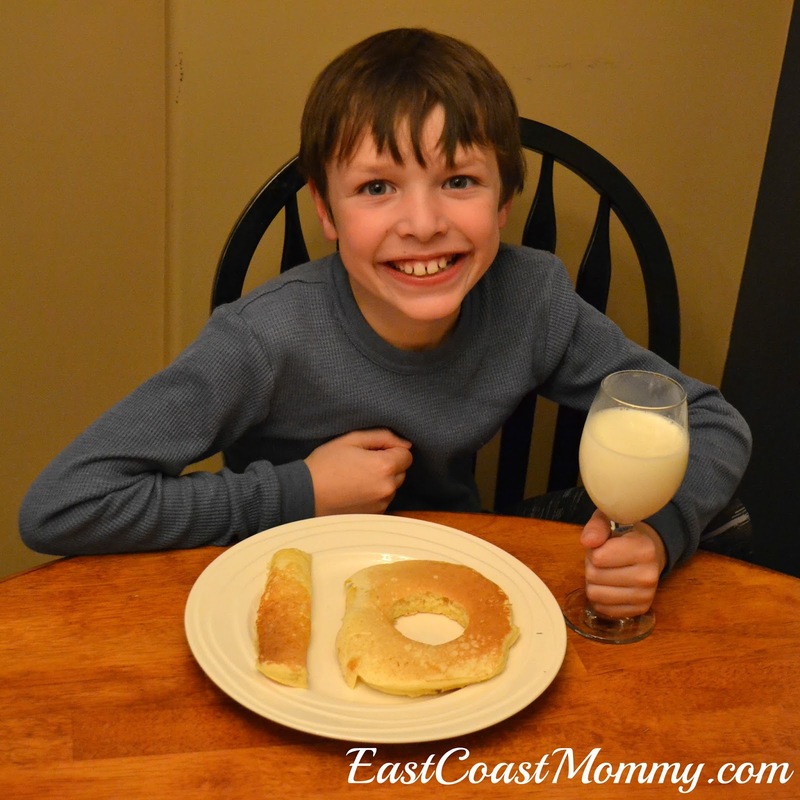 My oldest boy is turning eleven next week, and he decided to forgo having a big party. Instead, he has decided to go bowling with his brothers and a few of his friends. 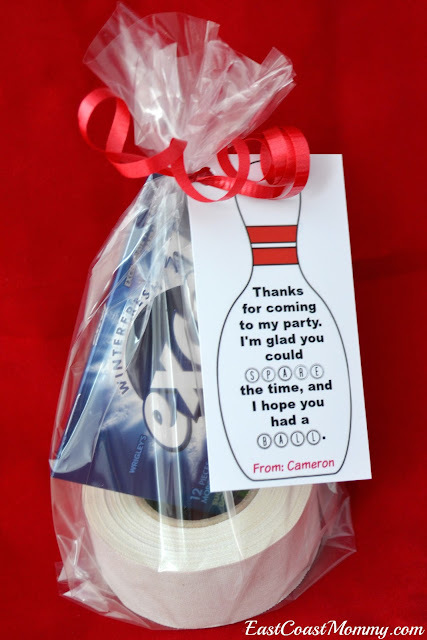 Given that we are going with a "bowling party" theme, my son opted to give his friends a pack of gum and a roll of hockey tape with a simple bowling pin tag. 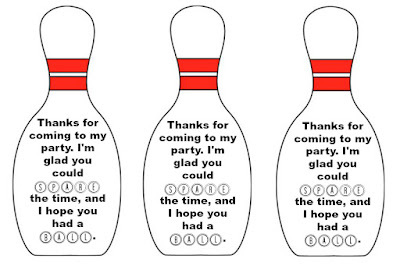 You can check out the adorable bowling party favour (and download the tag I designed) below. 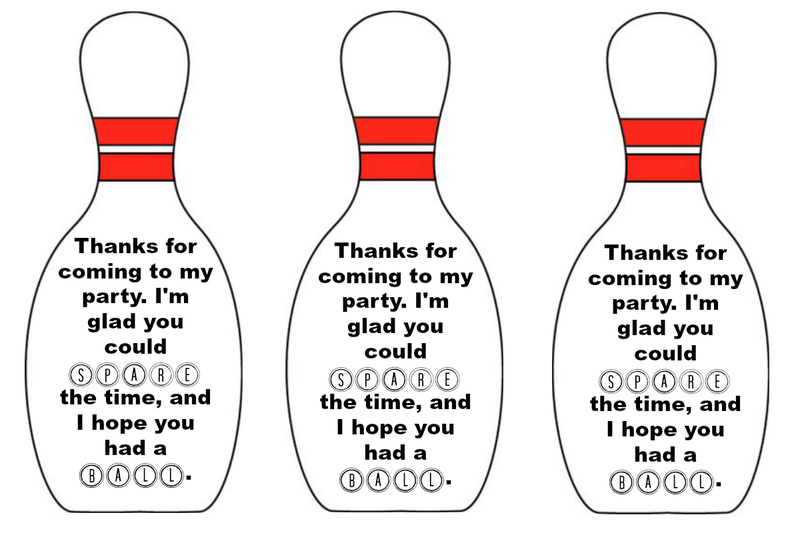 To download and print the FREE party favour tags: right-click on the picture below, save it to your computer, and print it like a regular 4X6 photo. There are three tags per page. I am really pleased with how these party favours turned out. It is a simple treat, but the tags I designed add a fun flair. 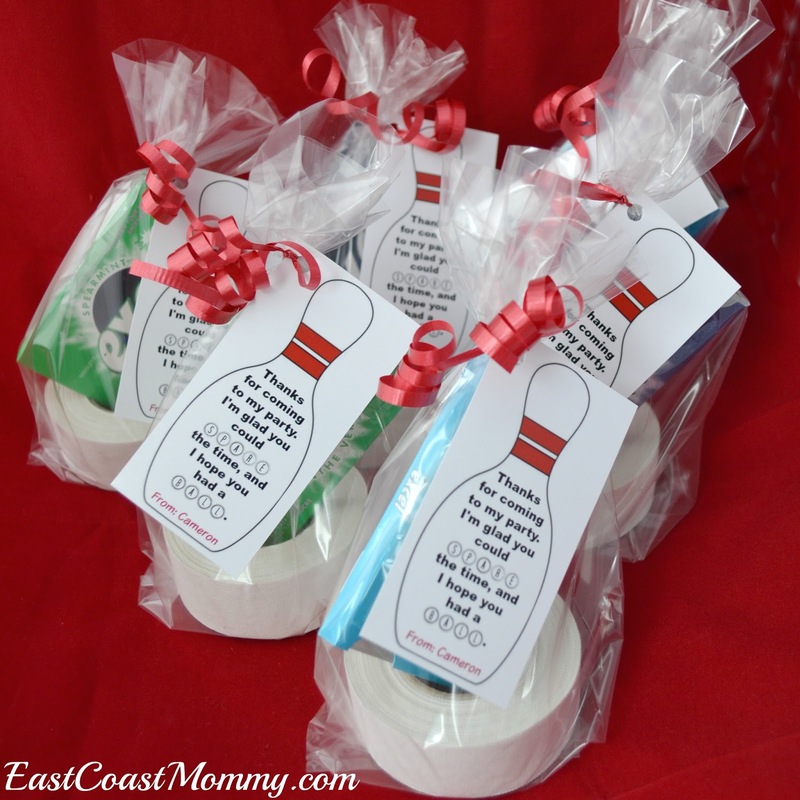 Have you ever hosted a bowling party for your kids? What did you hand out for party favours/ loot bags? My oldest will be turning 11 this month, so in honour of his birthday, I thought I would share 11 birthday traditions that you are definitely going to want to check out. 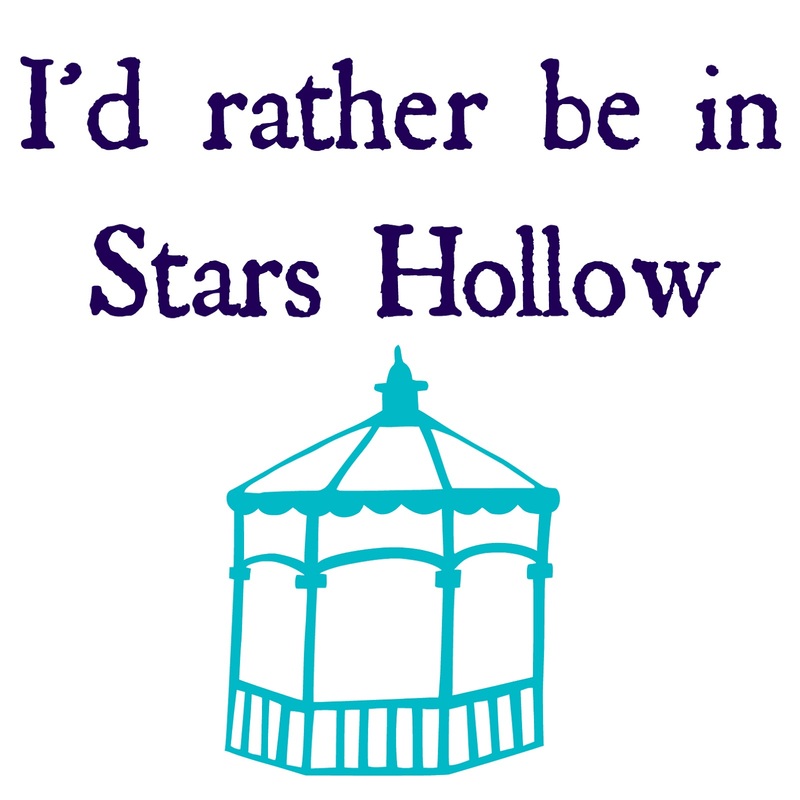 Some ideas are mine, and some are ones I have heard/read about... and they are all simple, fantastic and fun. 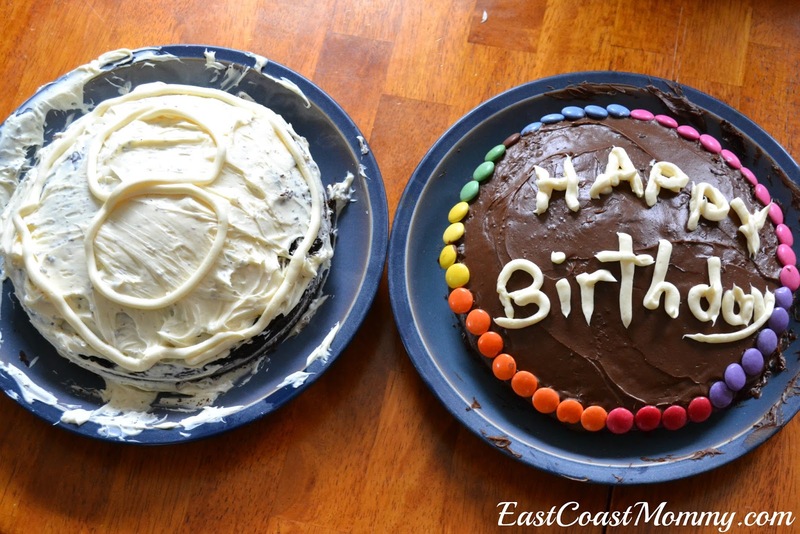 Take a read through these 11 Birthday traditions, and choose the ones you love best! 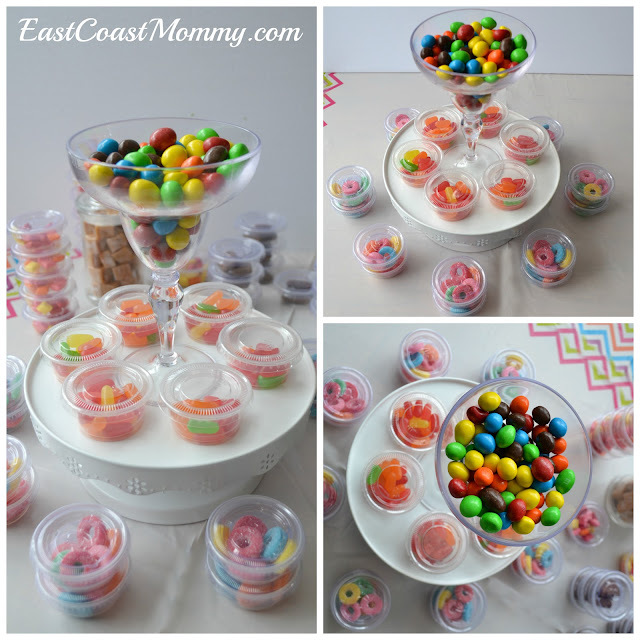 1) Serve candy for breakfast - Can you think of a better way to start the day? 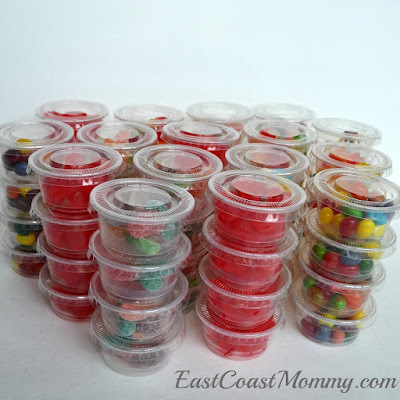 My sister-in-law serves her kids a tray of candy in bed on their special day every year, and they love it. I think candy for breakfast is a super-fun birthday tradition. 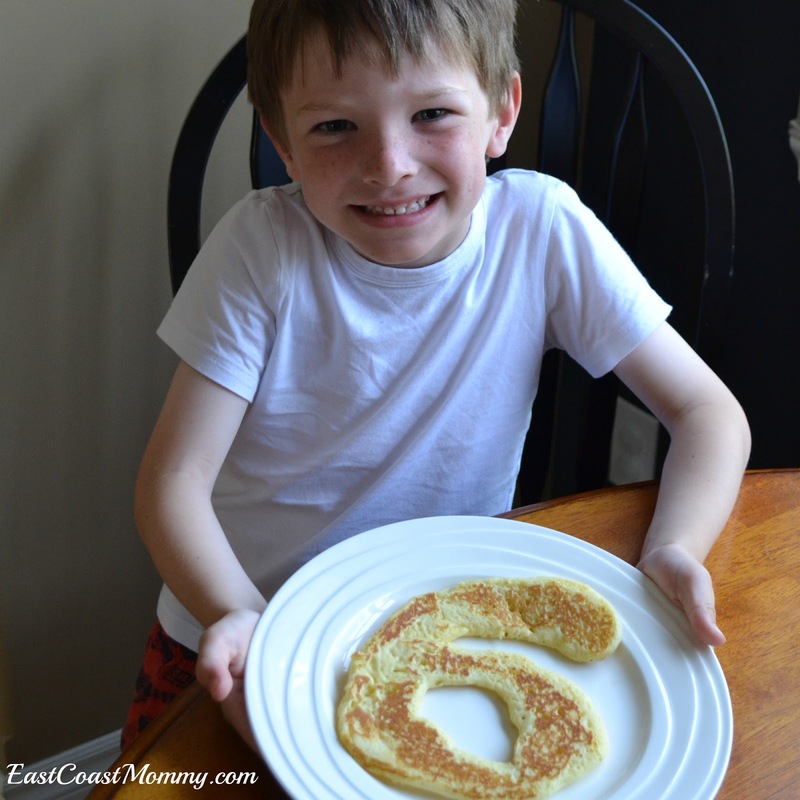 2) Make birthday pancakes - Pancakes are the birthday breakfast of choice for my boys. I make birthday pancakes in the shape of their age, and I serve them with milk in a wine glass. 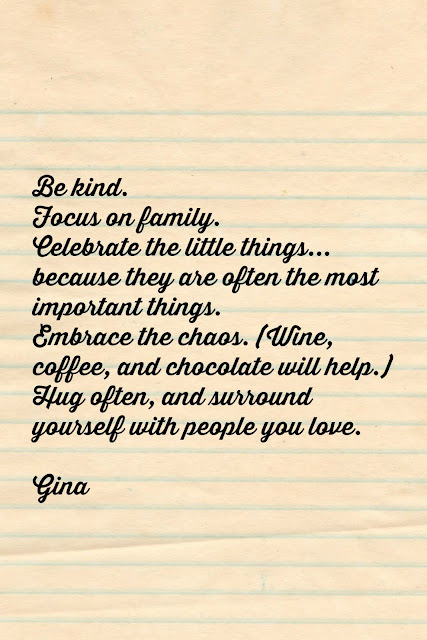 It's a simple idea, but it starts the day in a special way. 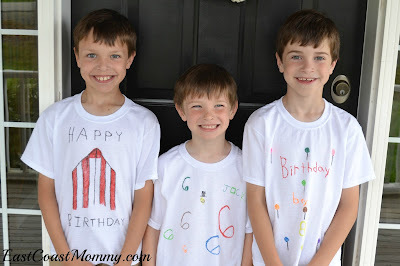 3) Write a birthday letter - Every year, I write my boys letters on their birthdays. The letters are a "snapshot" of my boys' likes/dislikes/personalities. Writing birthday letters to my boys is my favorite birthday tradition. You can find an example here. 4) Decorate while the kids are asleep - Waking up to fun decorations on your birthday is an exciting way to start the day. 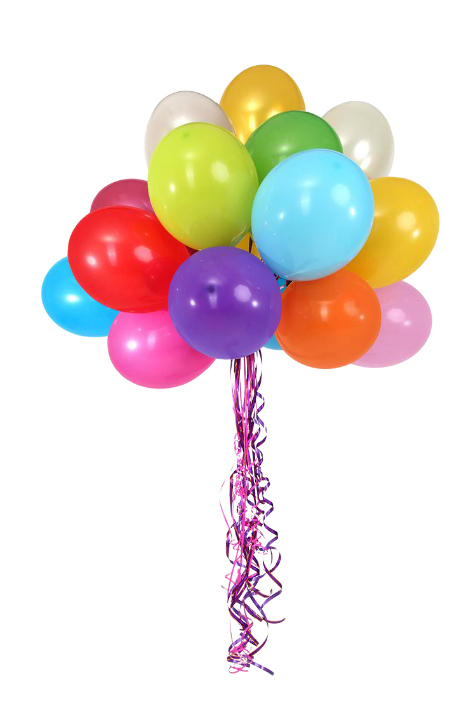 Decorate a special chair, hang streamers, or fill a room with balloons. 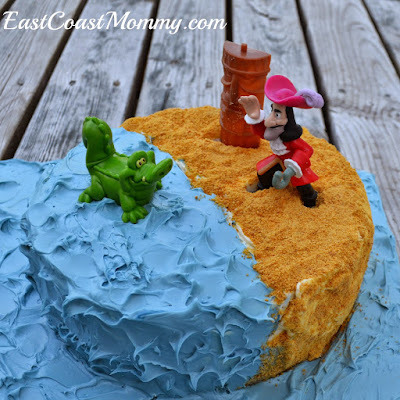 5) Bake a special cake - I always like to bake my boys a special cake on their birthdays. I am not a pro, but I know they appreciate the effort. Check out this Jake and the Neverland Pirates cakes I made for my youngest son on his 5th birthday. Cute, right? 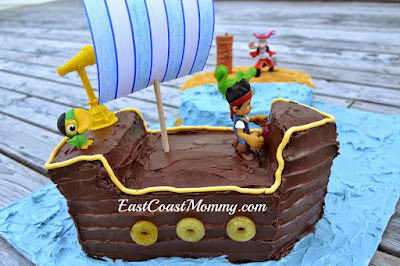 You may also be able to find some inspiration on my DIY Cakes Pinterest board. 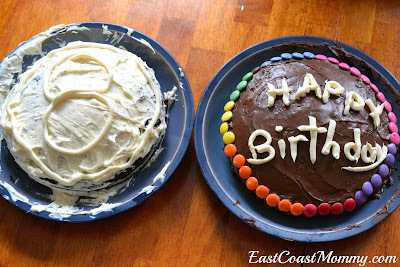 Another option is to let siblings make birthday cakes. They aren't fancy, but they are made with love. 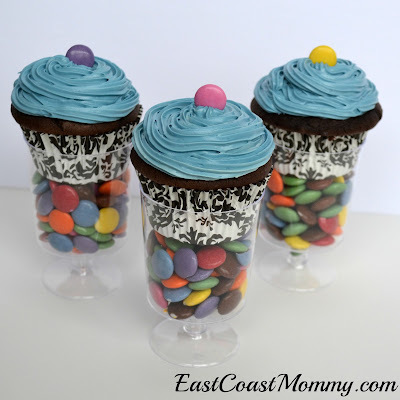 Simple cupcake parfaits are another super-easy option. 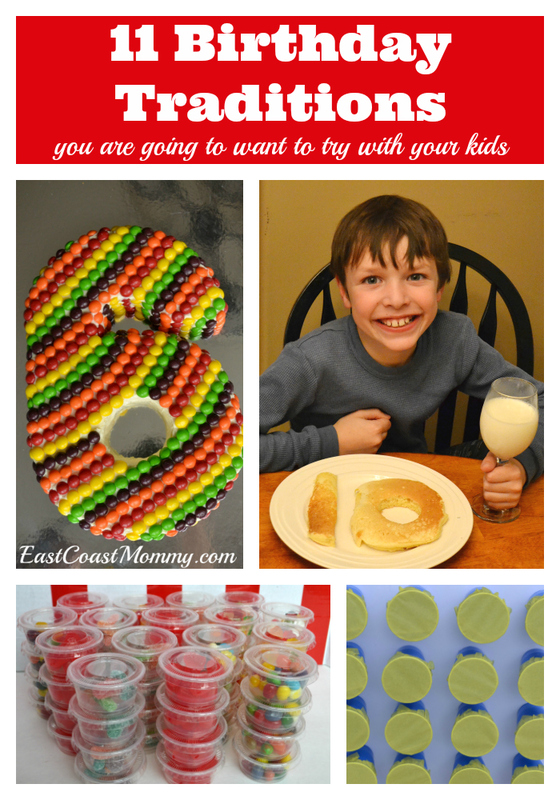 6) Host a fun DIY birthday party - Kids love hosting their friends on their birthdays. Focussing on unique DIY details will make it extra special. You can check out some of my favorite DIY parties here. 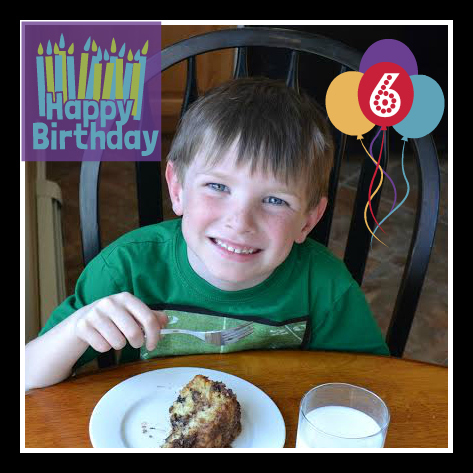 7) Let the birthday boy/girl choose the meals - Picking the meals on their birthday is fun for kids. 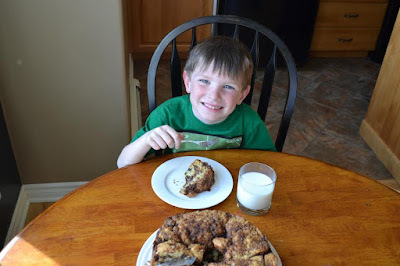 Kids can choose to eat out at a restaurant or they might prefer to stay at home and enjoy their favorite homemade meal. 8) Have the birthday boy/girl wear a special birthday shirt - It's always fun to let the world know it's your birthday with a special birthday shirt. 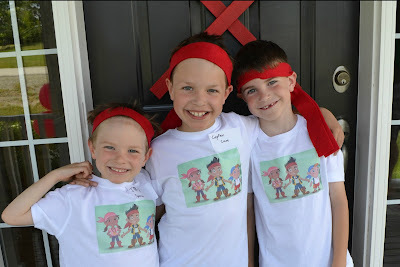 In the past, my boys have made their own shirts, and I have created shirts to go with the theme of their parties. 9) Set up a birthday scavenger hunt - Instead of just giving the birthday boy/girl their birthday gift, send him/her on a scavenger hunt to find it. 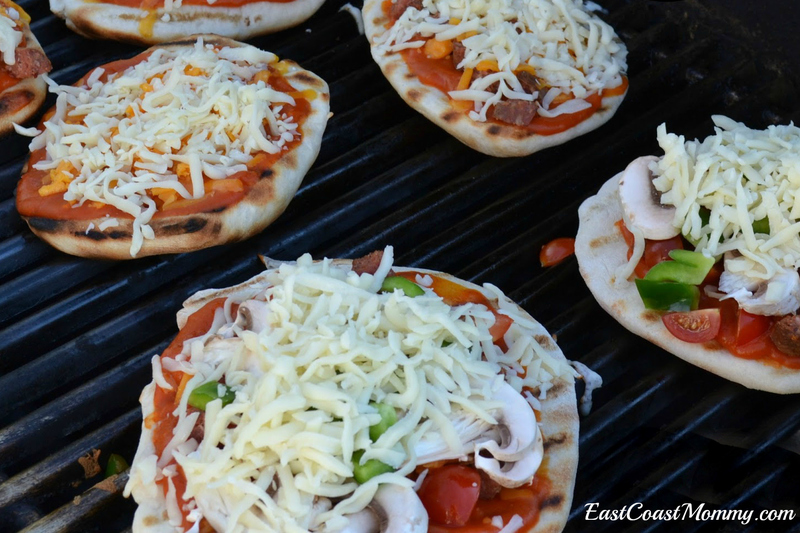 It's a simple idea, but it adds a little bit of anticipation and fun to the occasion. 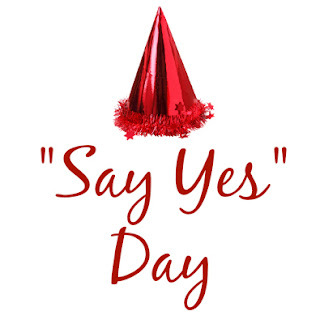 10) Have a "yes" day - I've never been brave enough to do this, but I have read about parents that let their kids have a "yes day" on their birthdays. The idea is to say "yes" to everything the birthday boy/girl wants to do on his/her birthday. I think (with a few parameters in place), this could be a lot of fun! 11) Play Hooky - A good friend of mine has a tradition of "playing hooky" with her kids on their birthdays. I love the idea of a special day filled with one-on-one time, fun activities, and special treats. Does your family have special birthday traditions? 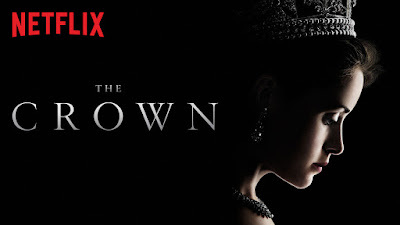 Did your favourite make my list? PS - Find more party planning ideas here.